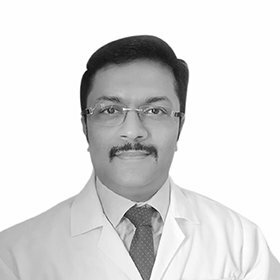 Dr. Nesmal Musaliar has a rich 14 years experience of working as a Consultant Paediatrician in a tertiary care hospital in Kerala, India. Dr. Nesmal joined Dr. Joseph’s Polyclinic, Karama, Dubai, after working in a multispecialty hospital in Dubai. He obtained his M.B.B.S. from the prestigious Jawaharlal Nehru Medical College, Belgaum, India in 1994, M.D. Paediatrics from J.S.S. Medical College, Mysore and Diplomate National Board (Paediatrics), New Delhi. He has handled difficult newborn and paediatric cases, including emergencies in his career. He has special interest in Allergic Disorders in children including Bronchial Asthma, nasal allergy and skin allergy. Infectious diseases including Pneumonia and Diarrhoea, Autism, Attention Deficit Hyperactivity Disorder, behavioral disorders, seizure disorders, thyroid disorders, and adolescent issues are also handled. A well-baby clinic, where in all childhood and adolescent immunizations are carried out and advice regarding proper nutrition is given to parents. Dr. Nesmal Musaliar believes in the concept of prevention of illness. This can be achieved by immunization against all vaccine preventable diseases, healthy eating, importance of exercise, nurturing one’s talents, stress free living, prevention of obesity and thereby developing children into healthy adults, so that they are useful to their family, to the society and ultimately to the nation.